Remember the blog entry I posted last summer, about the worst musical trip ever? You know, that time I and my friends Ida and Rami and left for Greifswald, Germany to see Chris Murray in Jekyll & Hyde, and were met with an endless onslaught of awful? 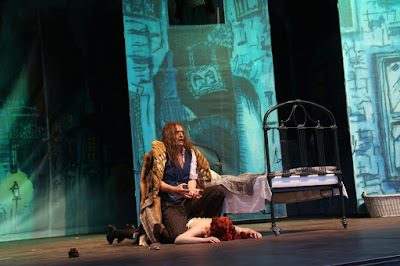 The bus was late with its septic tank overflowing, the traffic jammed due to an accident and the asphalt melting due to hot weather – and finally, the outdoor performance of Jekyll & Hyde we had travelled 1300 kilometers to see was cancelled due to a thunderstorm. We swore our feet would never touch the ground of Greifswald again. Guess who are going back. The place of our nightmares. Last summer, after our unfortunate trip and after us leaving them some rather sour feedback, the personnel of Theater Vorpommern contacted us. To make up for our disastrous journey, they offered us tickets to any upcoming performance of Jekyll & Hyde, and a hotel room for the night on top of that. We howled with laughter but didn't delete the message. At first, we sneered. As if! But as the fall approached and started turning into winter, we started thinking. Thinking and talking. What if... We travelled just so we could see Chris Murray play Jekyll and Hyde, and our curiosity about his performance is of course not yet satisfied. What's more, we've grown curious about the whole production, about everything we missed. What if it's great? What if it's terrible? We don't know, but we might, if we just... But most importantly, it's started to feel like The Greifswald Story is not yet quite complete. We're still on intermission and have to decide whether to walk out or to go back and watch the second act. Last week, we sent a message to Theater Vorpommern and let them know that yes, we would like to come back. March 11th 2017. It absolutely does not feel real. It's either going to be perfectly magnificent or the theatre is going to burst into flames and collapse on us mid-performance. I feel this is like a real-life sequel to a weird movie. A sequel where the plot is similar but the stakes are higher. A sequel with the same actors and the same settings but, I'm wishing with all my might, a completely different outcome. 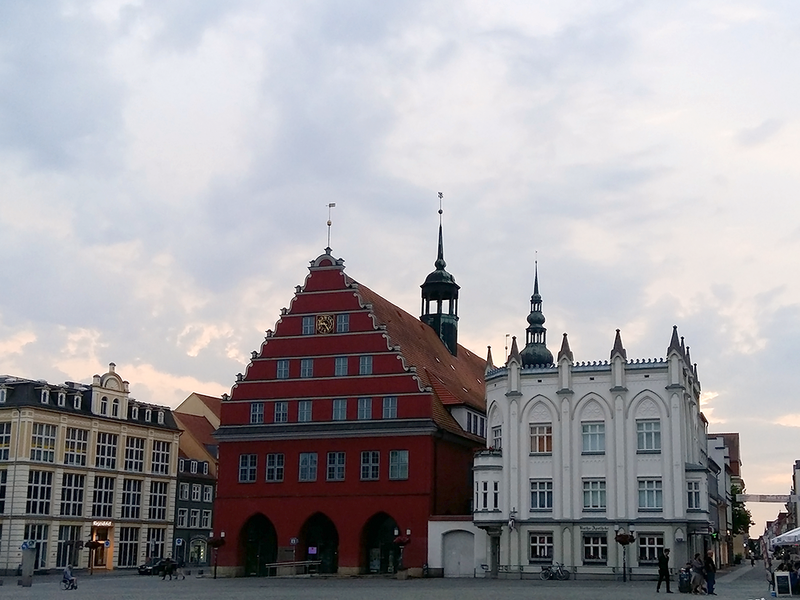 Greifswald II: The Experience, The Adventure. The Revenge. Awesome. I bow to you. May the odds be ever in your favour. Now you will know what bus company not to take and hopefully the road won't be melting in March. I think you've already got a leg up! Good luck.